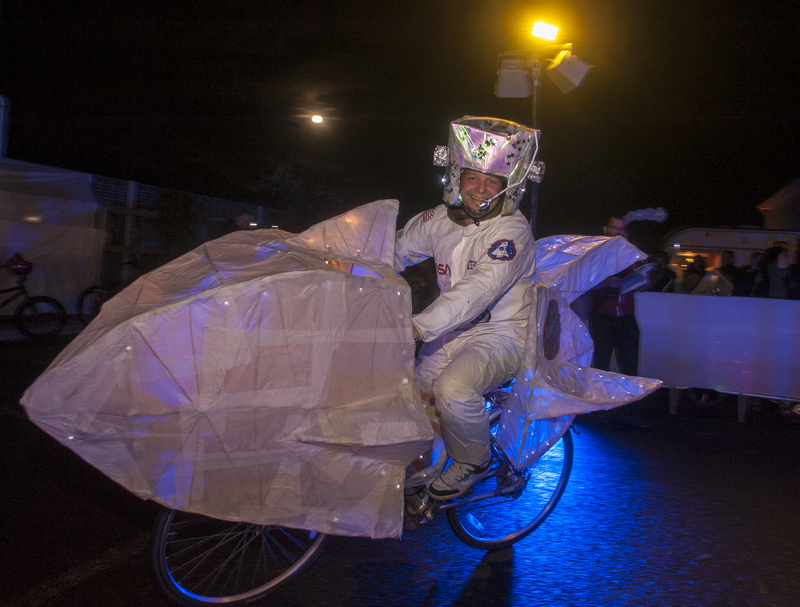 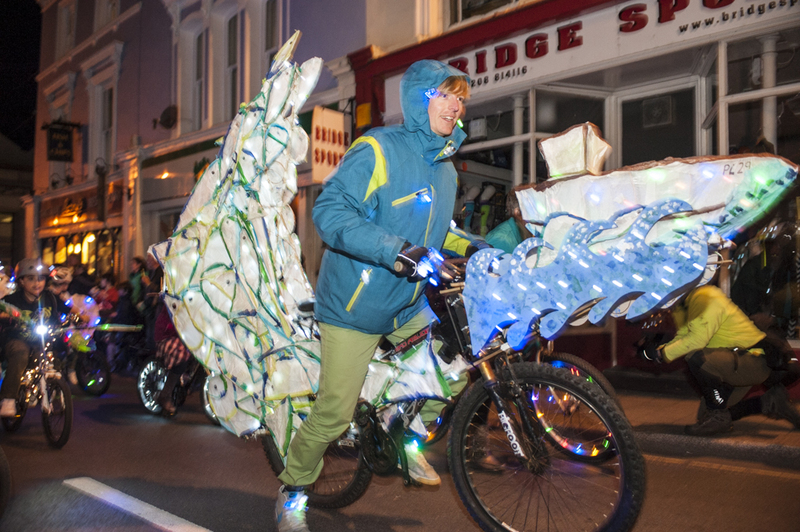 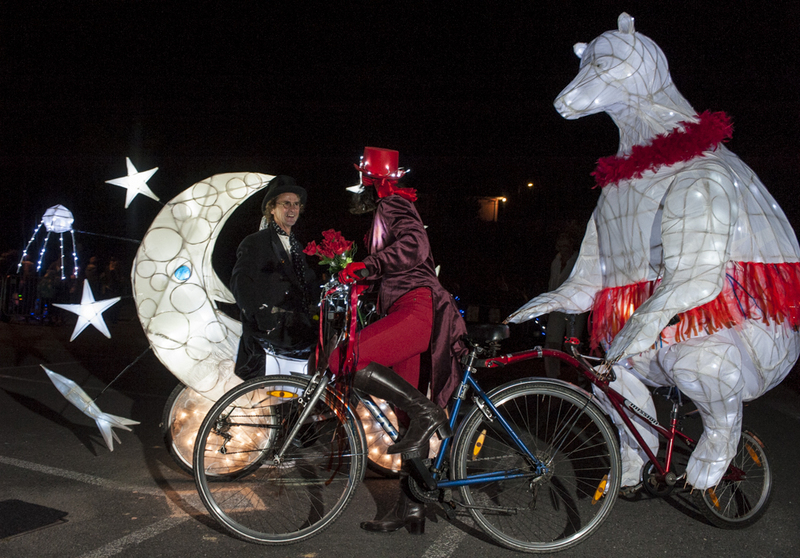 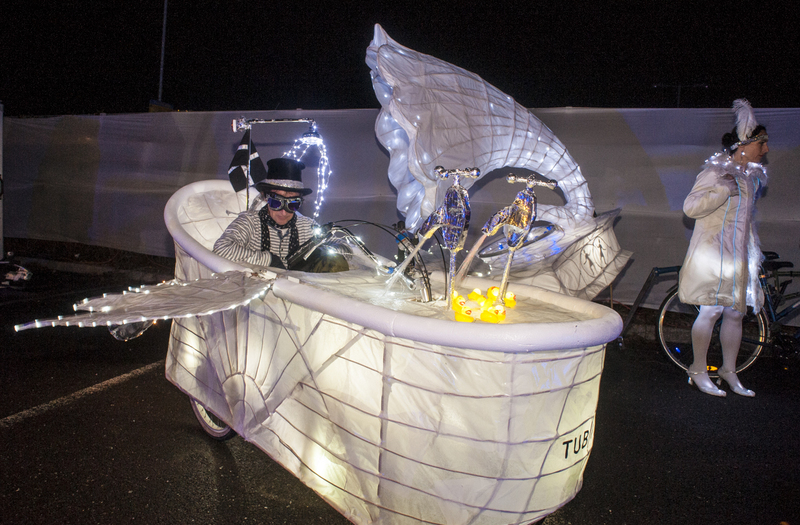 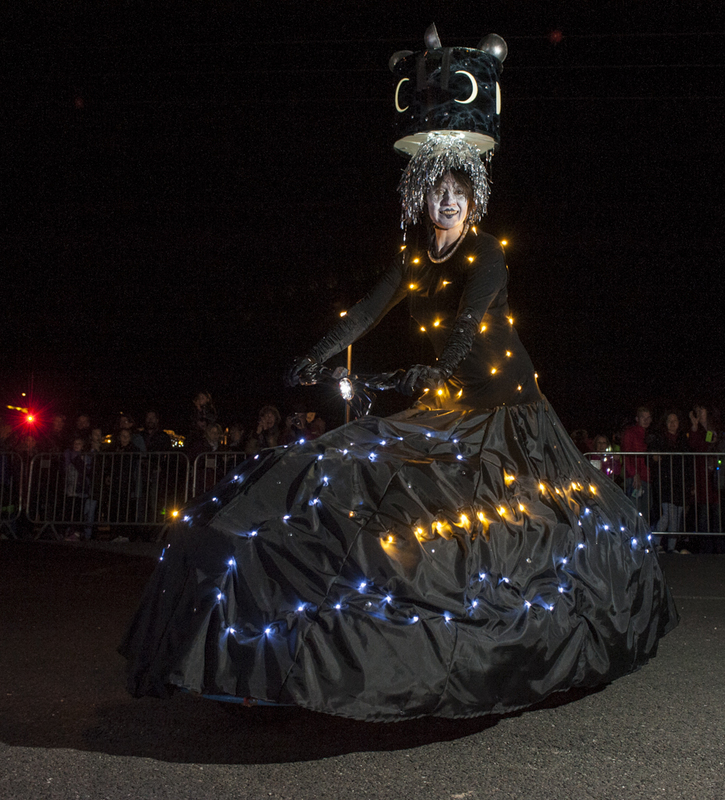 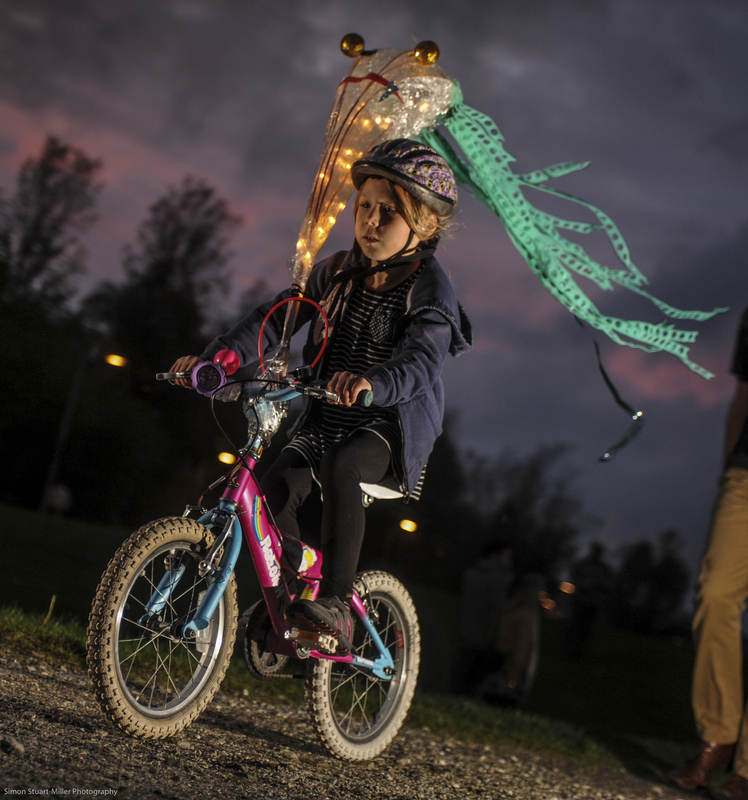 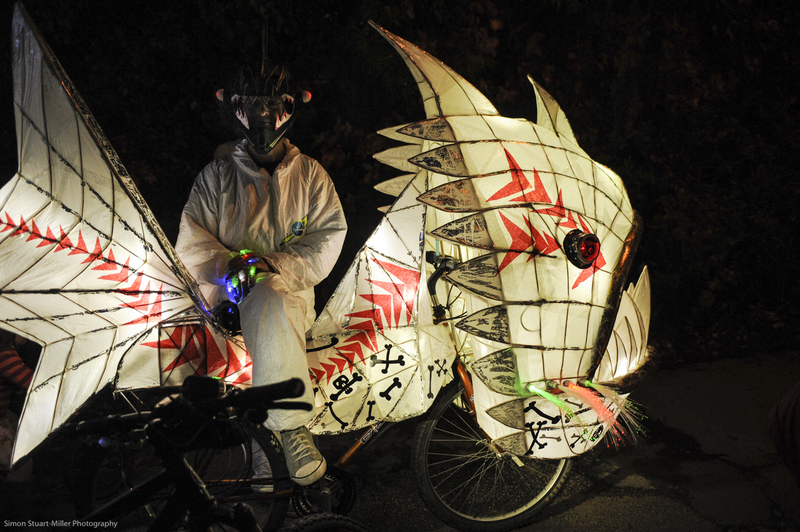 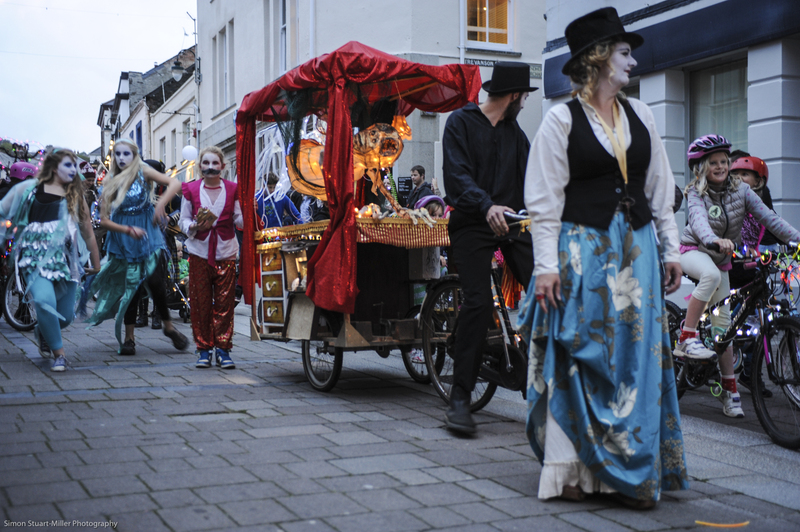 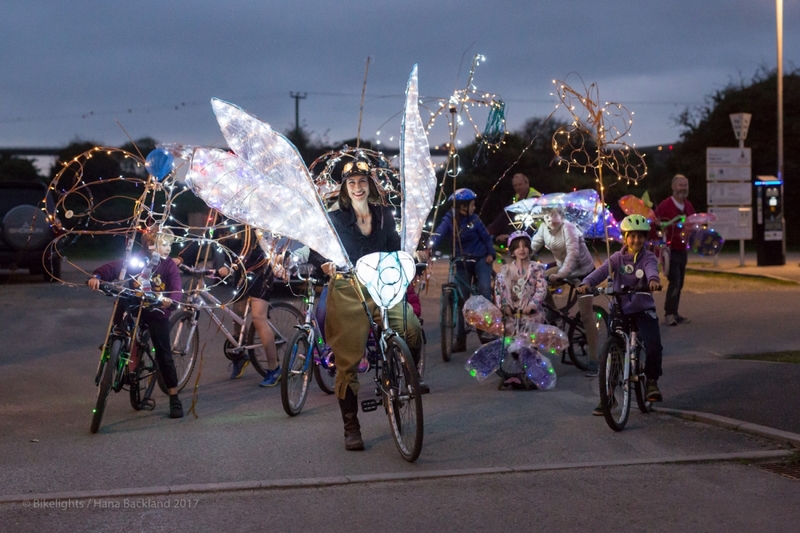 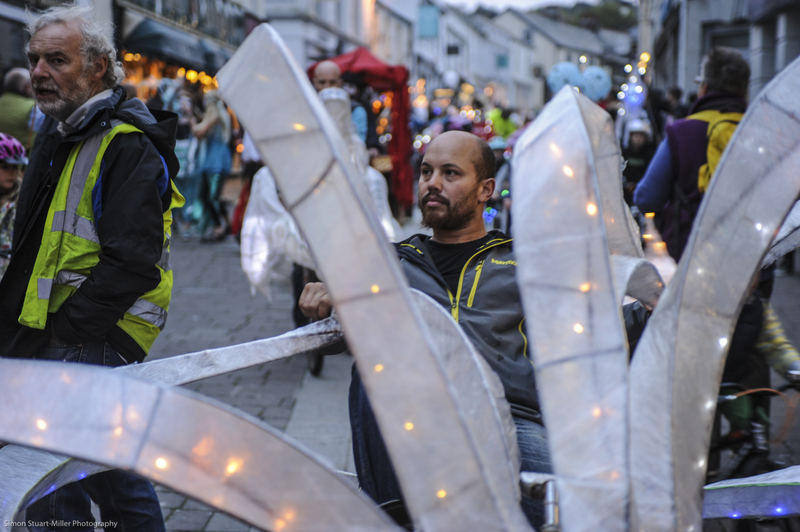 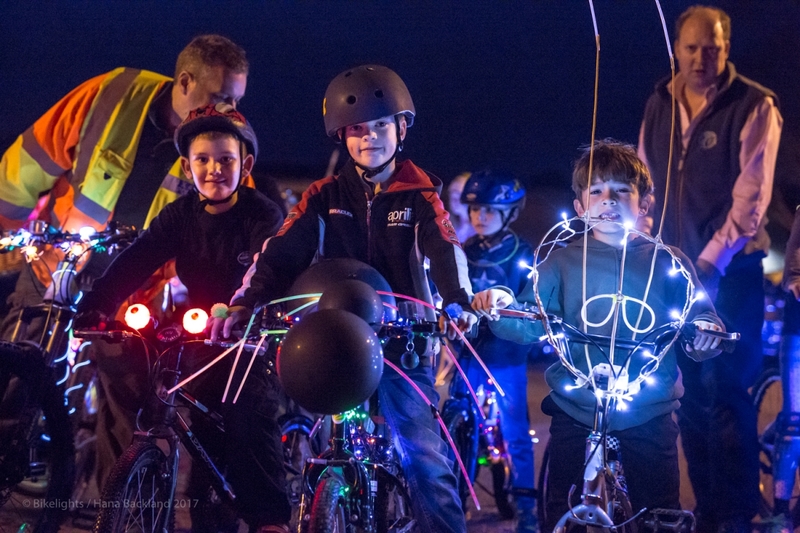 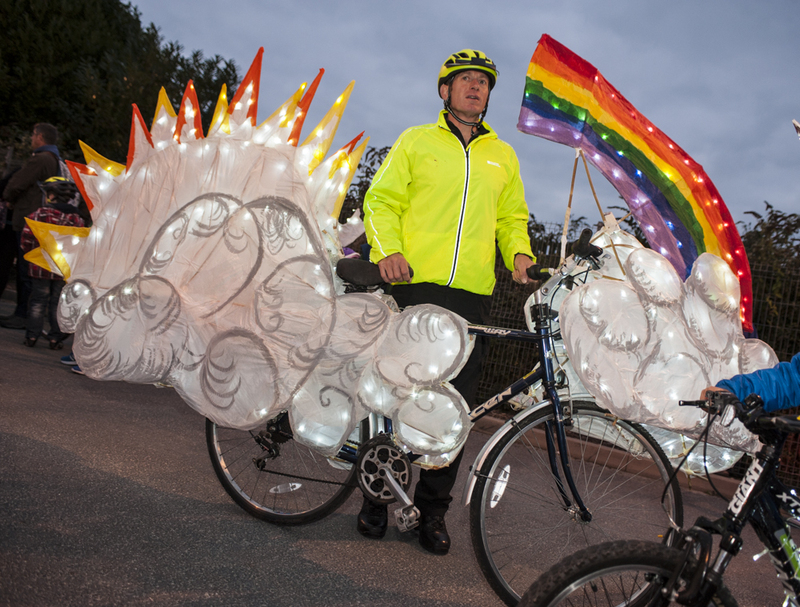 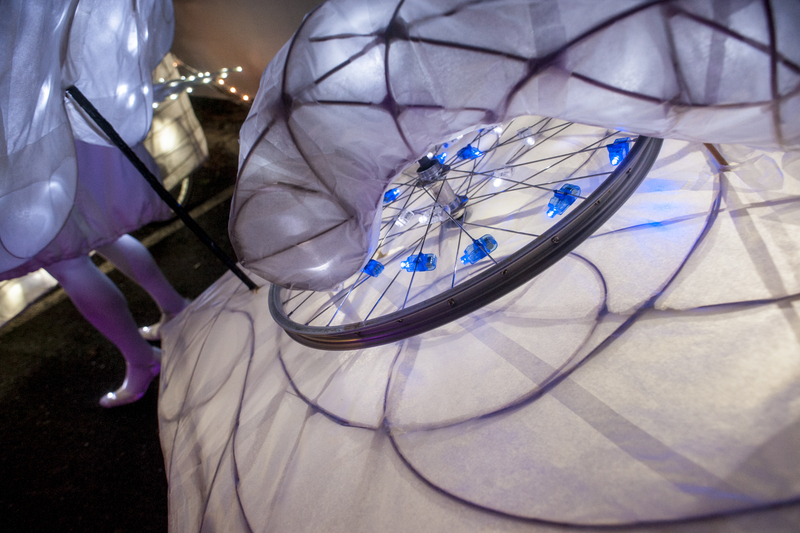 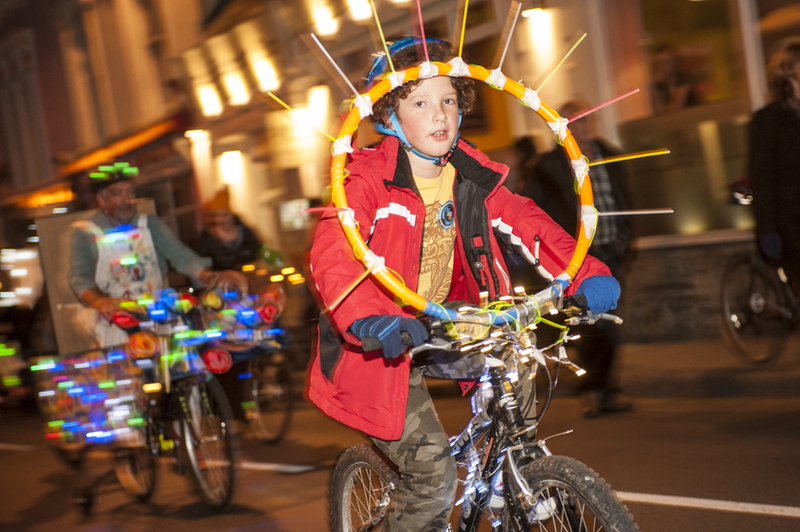 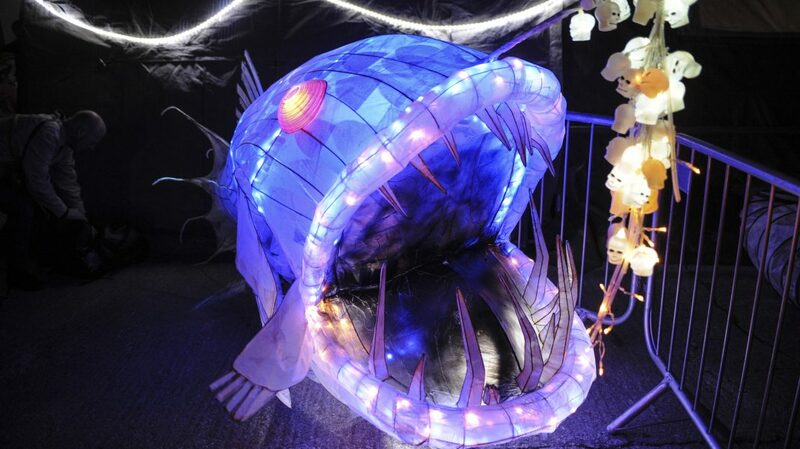 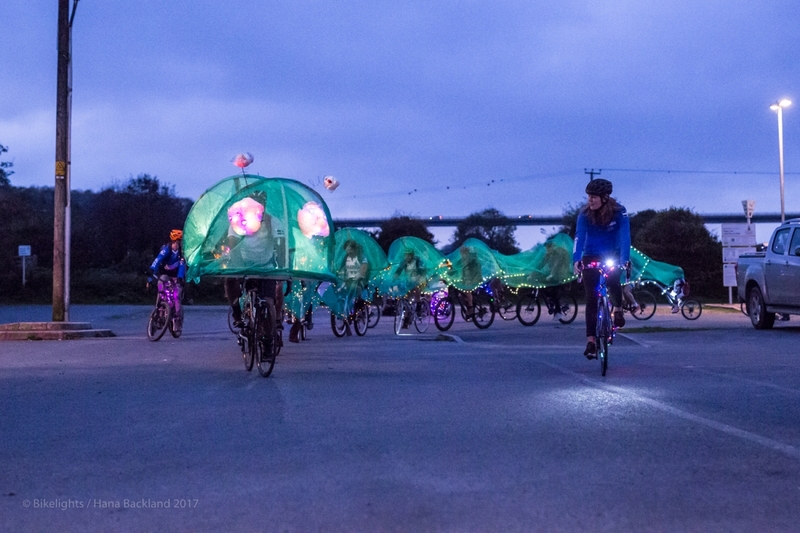 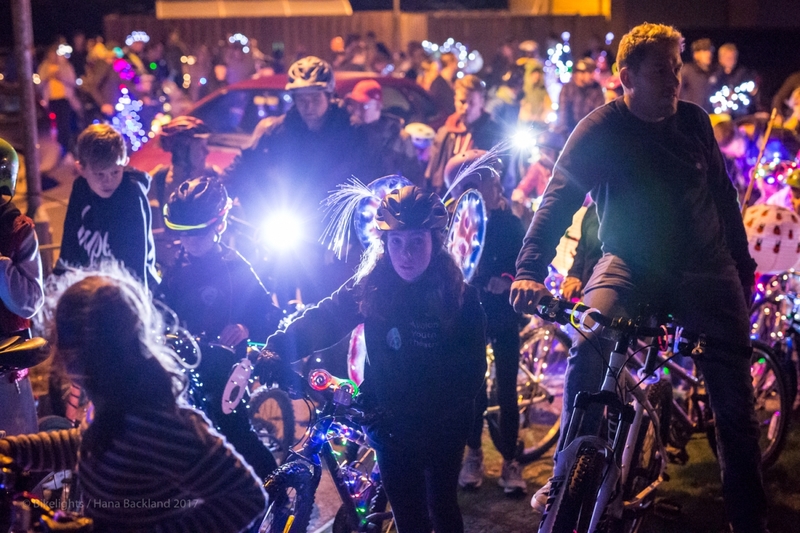 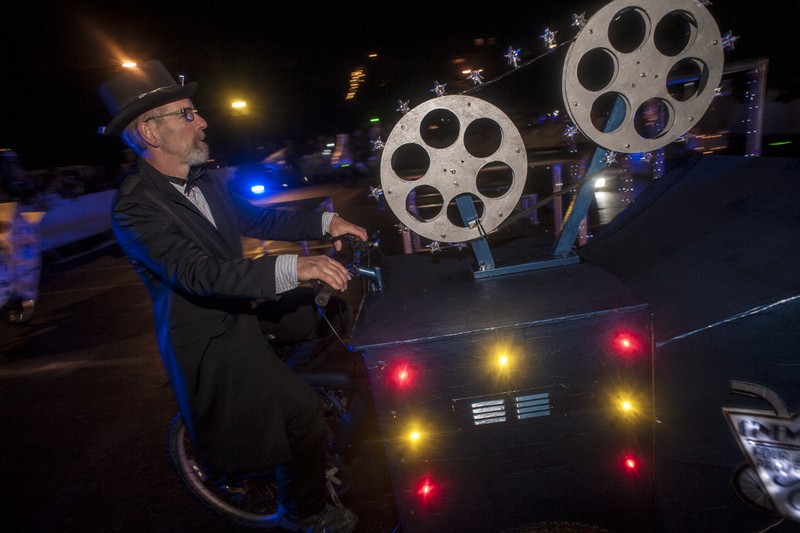 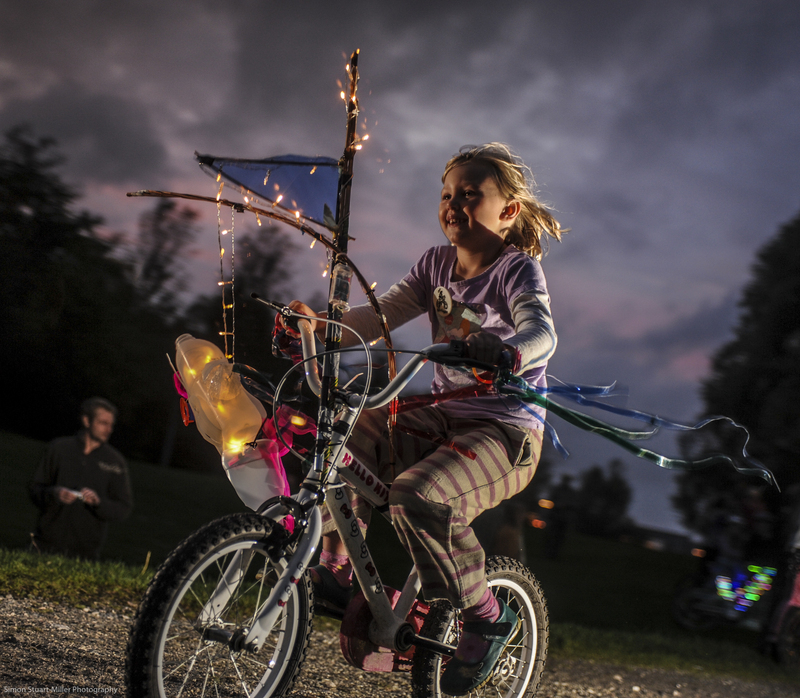 In it’s 5th brilliant year Bike Lights Wadebridge is a lantern parade with a difference. 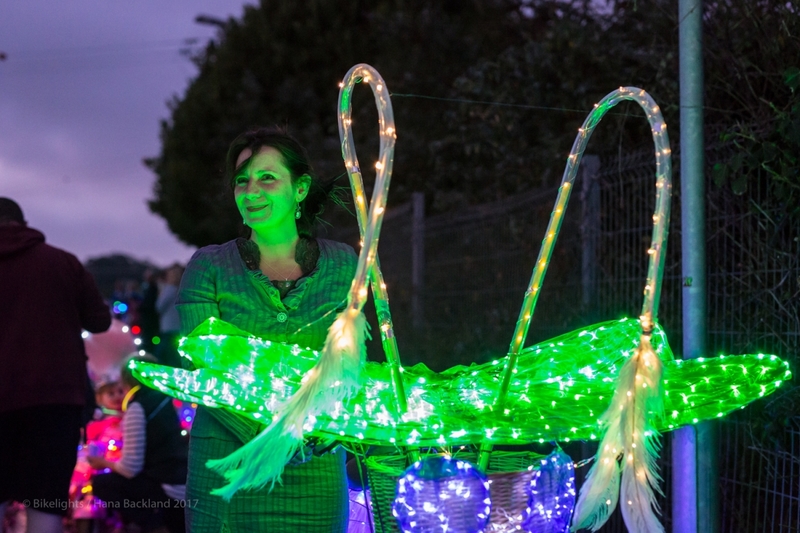 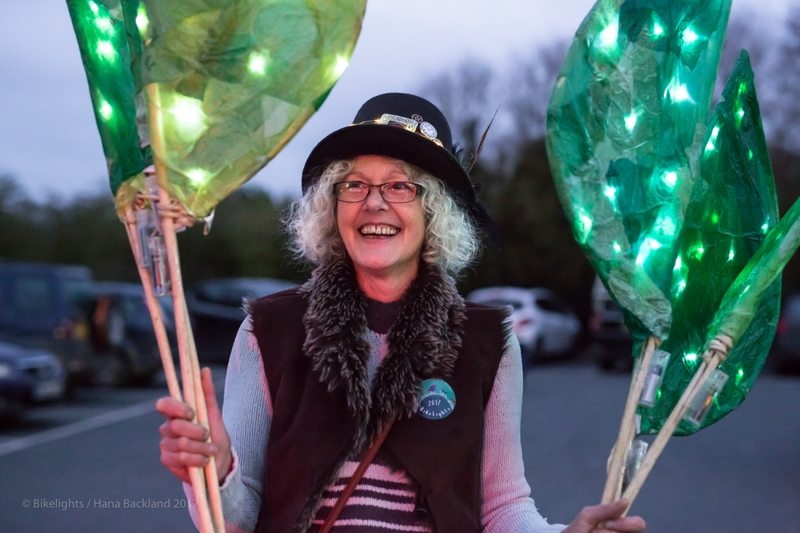 For the last five years, Wadebridge Creative Hub has organised a stunning, illuminated procession for and by the local community in Wadebridge. 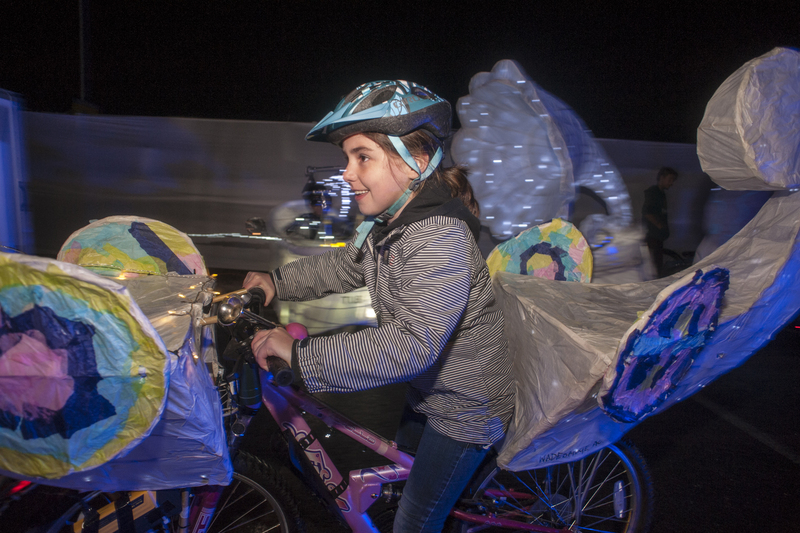 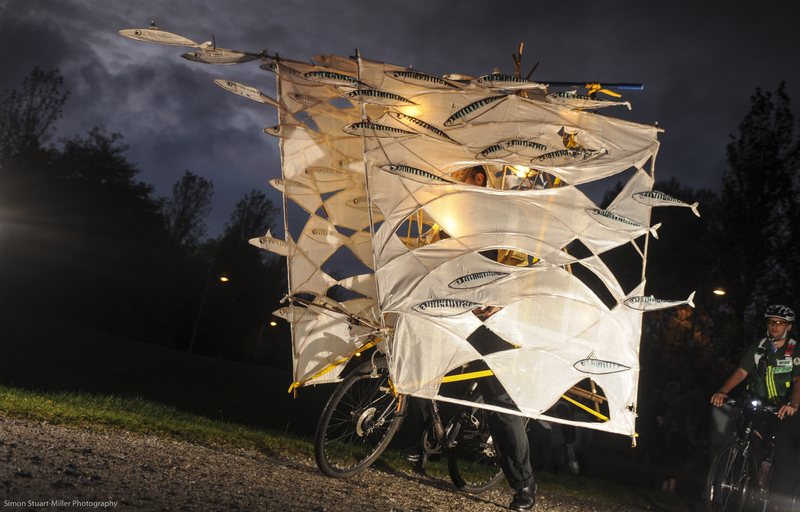 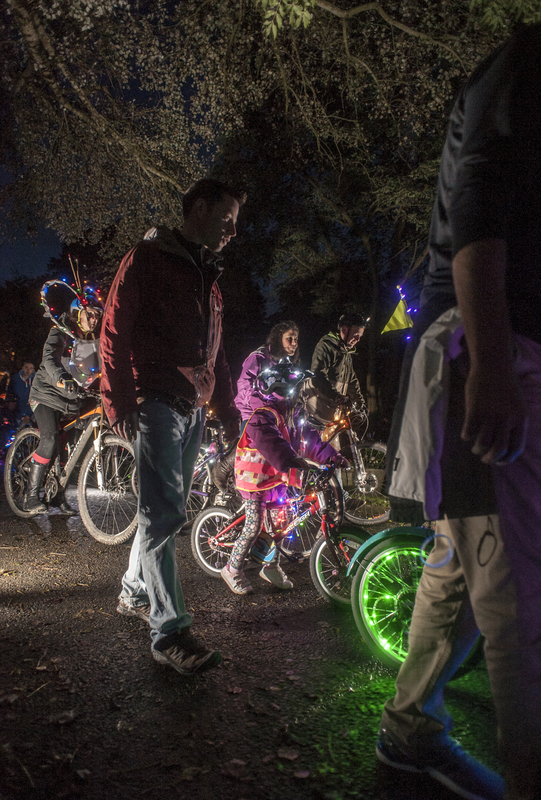 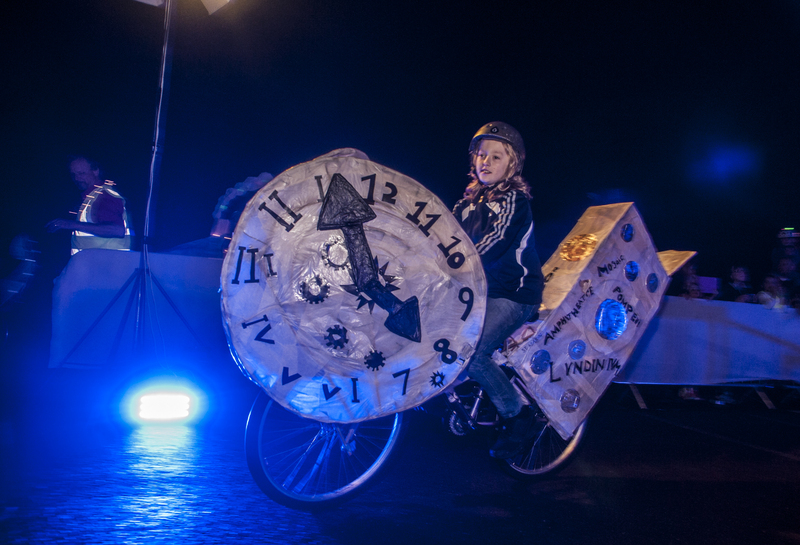 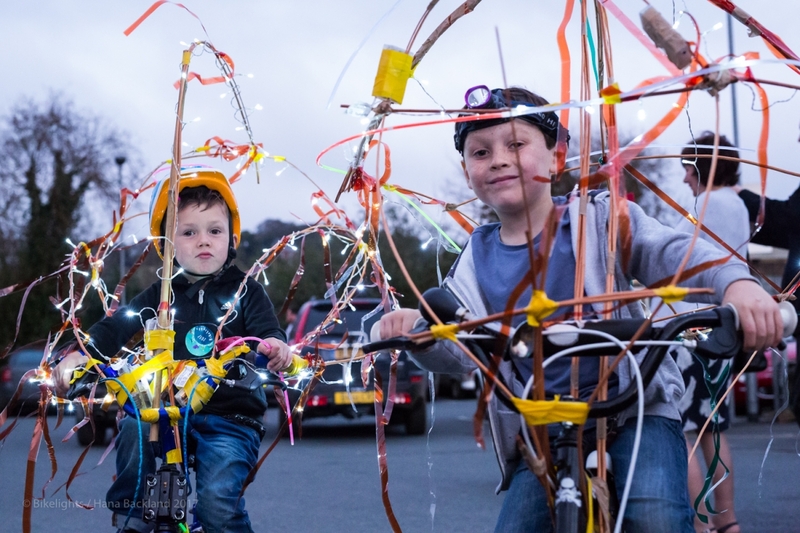 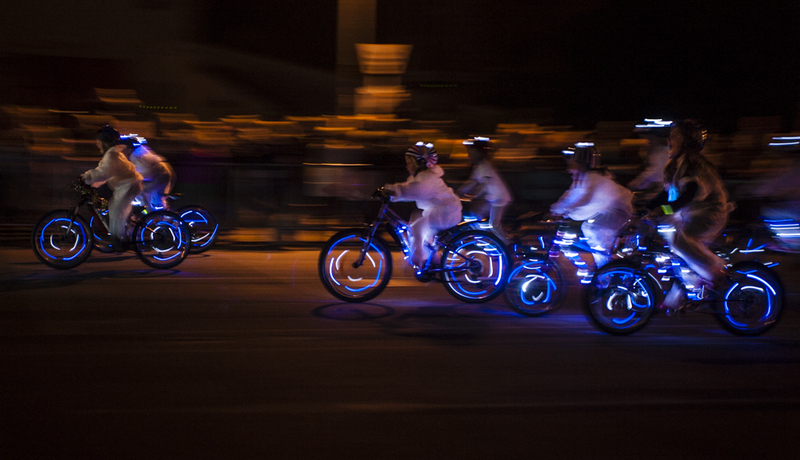 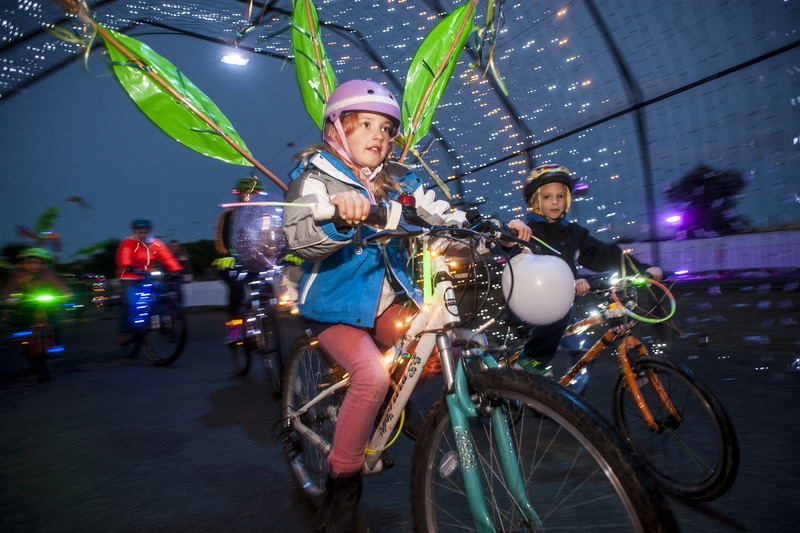 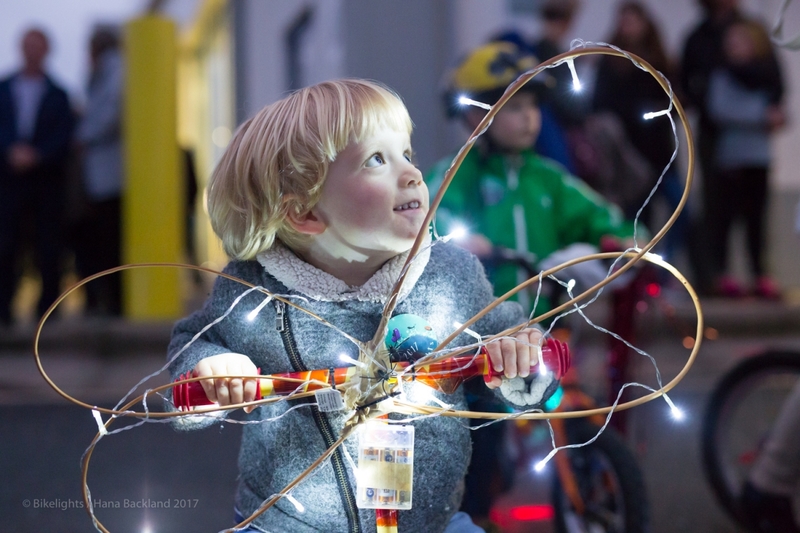 Part procession, part celebration; local residents, schools and groups work on creating wonderous bike designs that light up in the Wintery night sky. 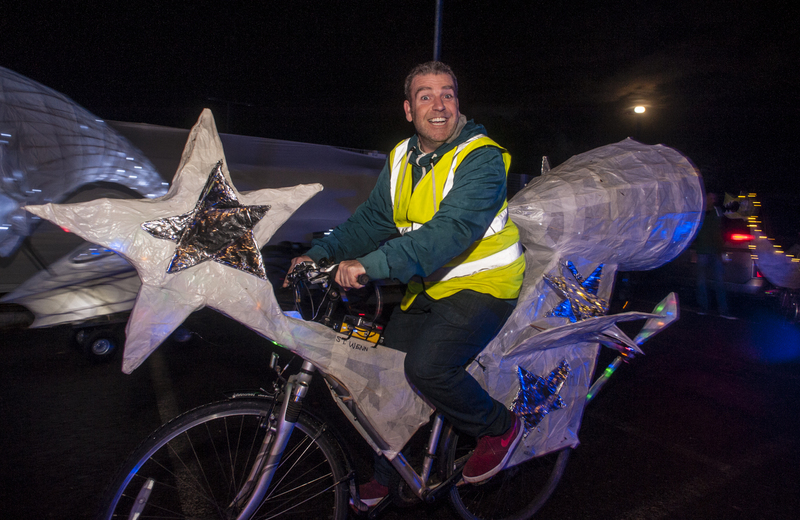 In 2015, the events second year, over 500 bikes took part in a procession that saw everything from rockets, to shooting stars, to a particularly nimble, cycling bear! 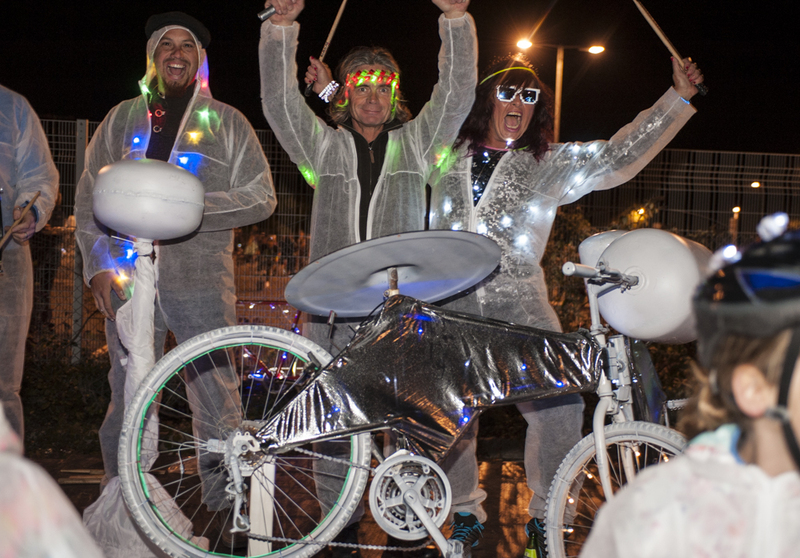 The grand finale, choreographed by Luca Silvestrini, Artistic Director of Protein Dance, was accompanied by a bikegamelan created by artist Dan Miles and a drumming group led by Roger Luxton. 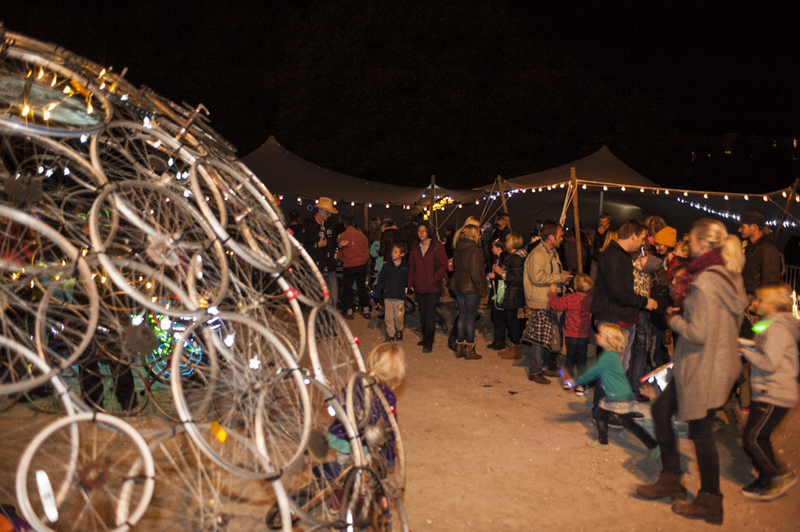 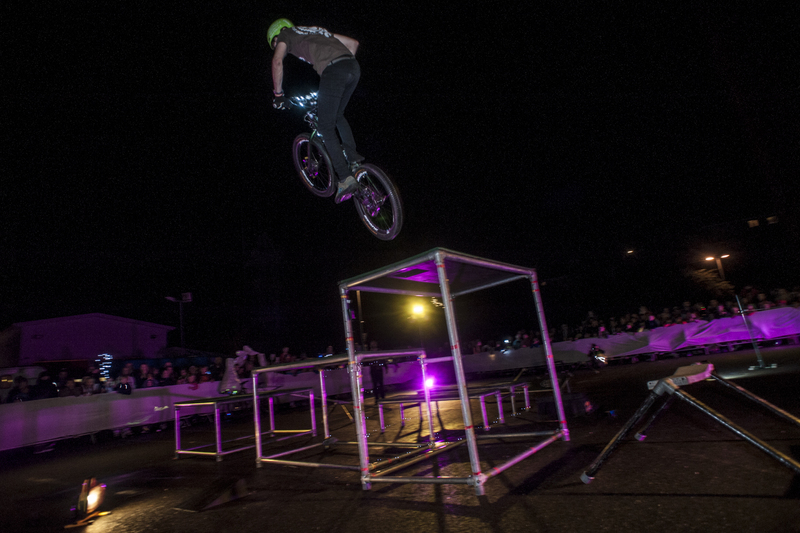 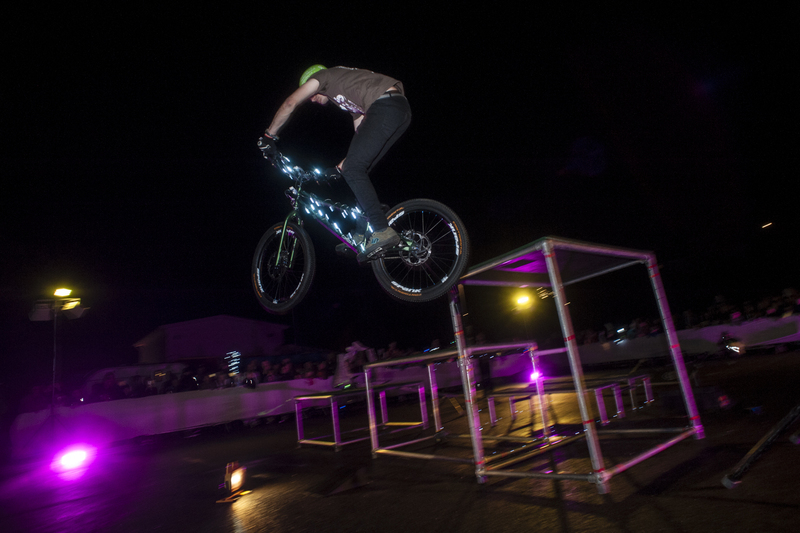 There were special artist-made bike creations and a burning bike pyrotechnic event created by Kernow Fireworks. 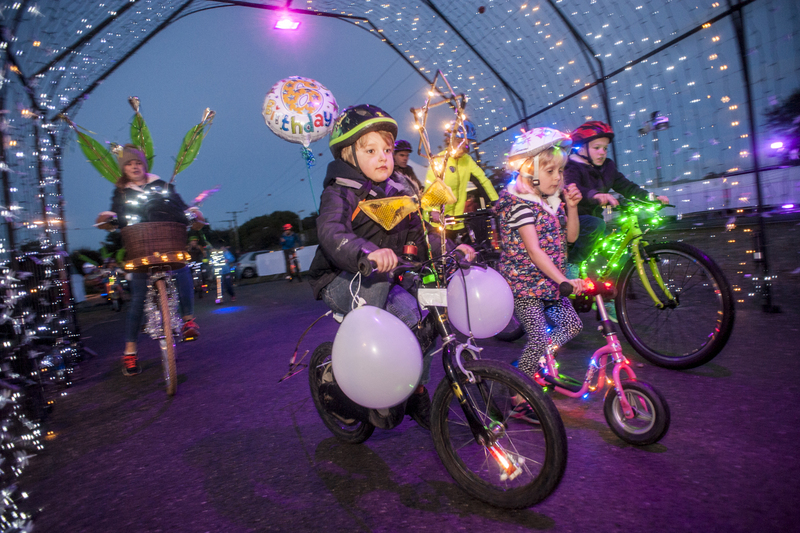 All of which followed by a two-hour celebration with dancing, an electro swing DJ, street food and refreshments, a bike-themed cinema tent for children, and a bar for grown ups.